Please refer to our stock # W-TX14 when inquiring. 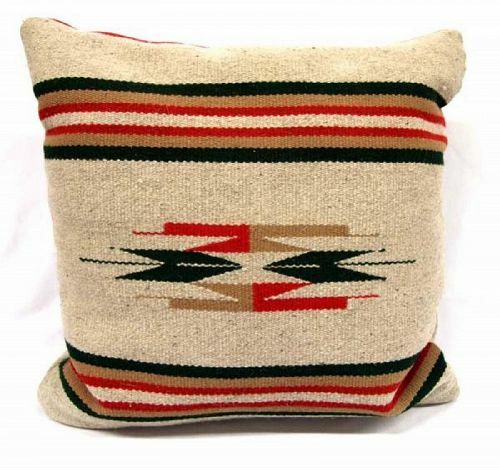 DESCRIPTION: A Southwestern hand woven wool "mesa design" pillow, the front with a center geometric design bordered top and bottom by red, tan and black stripes. The back continues the color motif with a patchwork wool pattern. Excellent condition, bright, beautiful colors, pillow included. DIMENSIONS: 16 inches square.